As we mark the 100th anniversary of the end of World War I, you are invited to Pack Up Your Troubles in your Old Kit Bag and Sing Along to Show Tunes and Songs of Wartime – Keep the Home Fires Burning, Don’t Sit Under the Apple Tree, Kiss me Goodnight Sergeant-Major, White Cliffs of Dover, and, of course, We’ll Meet Again. The program includes songs from South Pacific, The Sound of Music and Oh, What a Lovely War!, and hits from The Andrews Sisters, Vera Lynn and Gracie Fields, and much more. Tickets at door $10 Afternoon tea included. For more information, please phone 49435316. 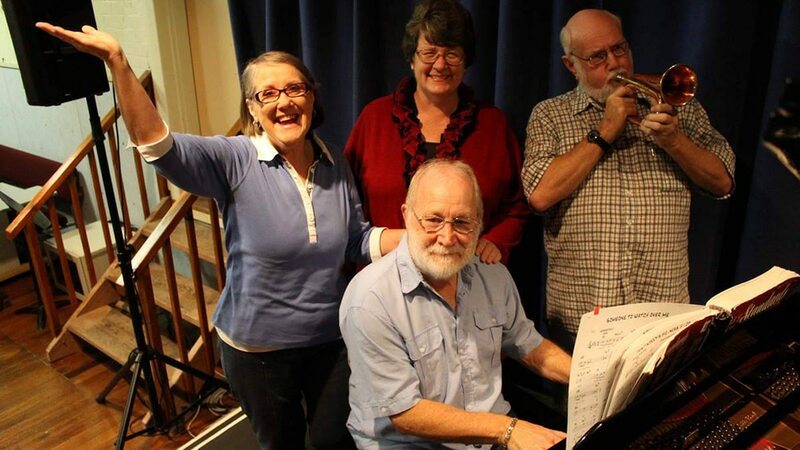 Sing Along recreates the nostalgic pleasure of singing favourite songs around the piano with a group of friends. All words are provided and local theatre performers lead the singing. Mr Music, Philip Sketchley, keeps everyone in tune. Sing Along has been a biannual event in the Dungeon for nearly 10 years.